With the popularity of subcompact cars on the rise, more and more parts are becoming available to make your small car the way you want it. The latest outlet to set up shop is SubCompactCarParts.com. From Chevrolet to Toyota, SubCompactCarParts.com offers a host of items for your subcompact car. The store is the lateset venture from Rob Tallini, owner of Road Race Motorsports. Rob firmly believes the future of automotive tuning lies in part with the small car segment, and this online store is proof of that belief. 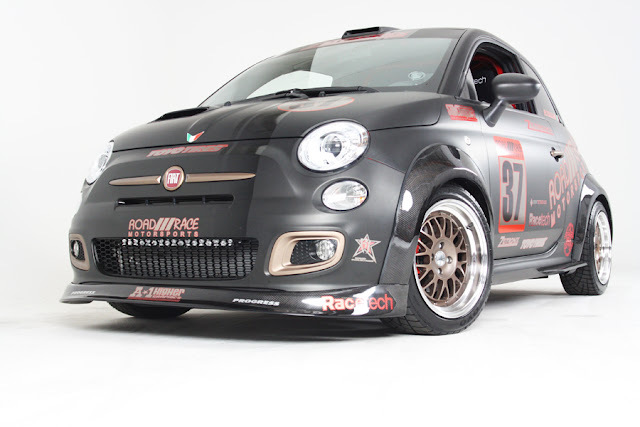 Whether its a front lip for a Fiat 500, lowering springs for a Honda Fit, a cold air intake for a Kia Soul, or a swaybar for your Suzuki, SubcompactCarParts.com has a host of parts and accessories for most subcompact cars. Check them out at SubCompactCarParts.com.